This post will consider Galatians 1:1 – 2:14 from the perspective of my Simonian hypothesis. That passage contains some of the few bits of biographical information the Pauline Corpus provides about Paul. If my hypothesis is correct, it should be able to untangle that information, plausibly assigning some parts to the real Paul (Simon of Samaria) and the rest to a later proto-orthodox interpolator. And that separation should help solve the puzzling features of the passage. 2. The turnaround by Peter: In 2:9 he is shaking hands with Paul and agreeing that he should go preach his brand of gospel to the Gentiles. But just a few verses later he, “fearing the circumcision party, separated himself” from Paul. 3. The switch back and forth between the names Cephas and Peter. 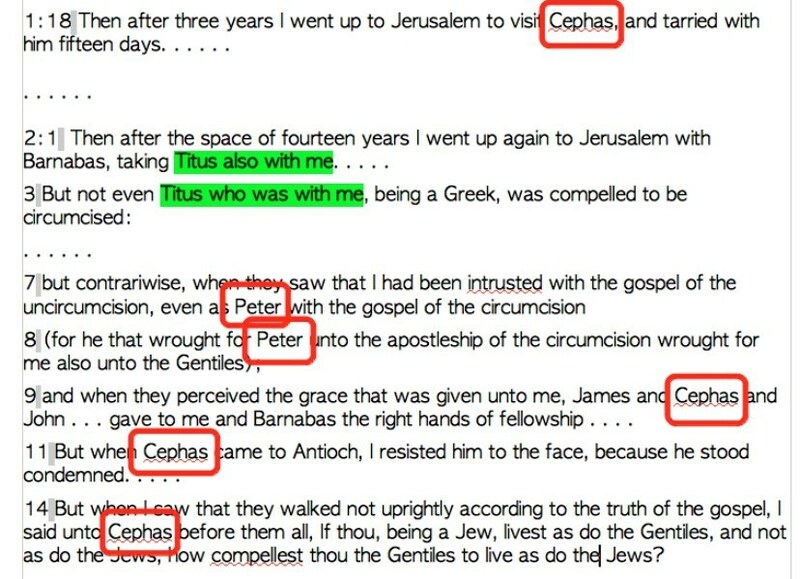 Cephas is the name of the person Paul stayed with during his first visit to Jerusalem. But in the account of the second visit the name “Peter” is used for him twice before the switch back to Cephas. 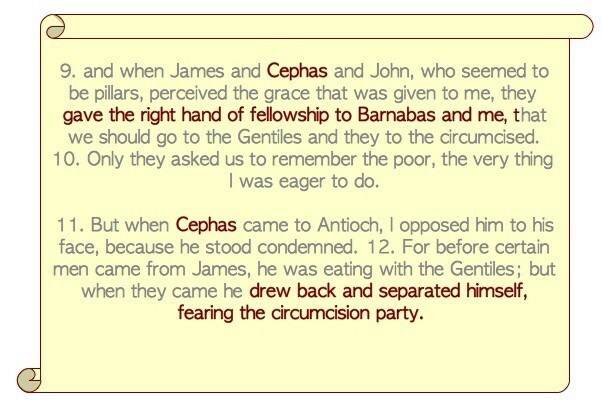 In the Antioch incident Cephas is the only name used for the one who stood condemned. 4. The double notice, in the space of only three verses, that Titus was with Paul (2:1 and 2:3). 5. The use of the expressions “those who seemed to be something” and “those who seemed to be pillars” for the leaders of the Jerusalem church. Why not something more straightforward? And why does Paul only use the expressions when recounting his second visit to Jerusalem. He tells us that at his first visit he made the acquaintance of Cephas and saw James. Didn’t they “seem to be something” at that time? So why do the “seem” expressions appear four times in the account of his second visit (which was, at least temporarily, a success) but not at all in the first?